The F.A. 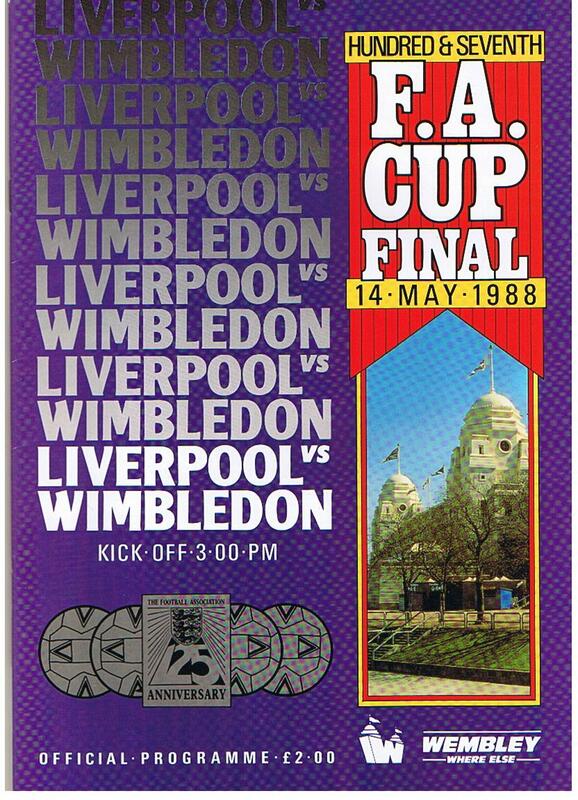 Challenge Cup Final 1988 was played between Wimbledon and Liverpool on 14 May 1988 at the Wembley Stadium. 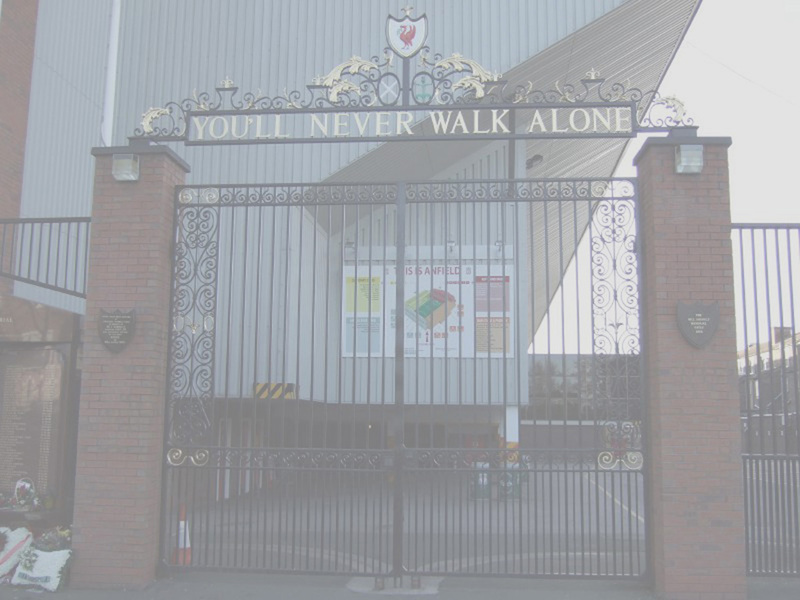 In this match, Liverpool losed the match to Arsenal with a final score of 0 - 1. It's regarded as one of the biggest shocks in the cup history. Peter Beardsley has a goal scored disallowed as the referee had already awarded a free kick to Liverpool. 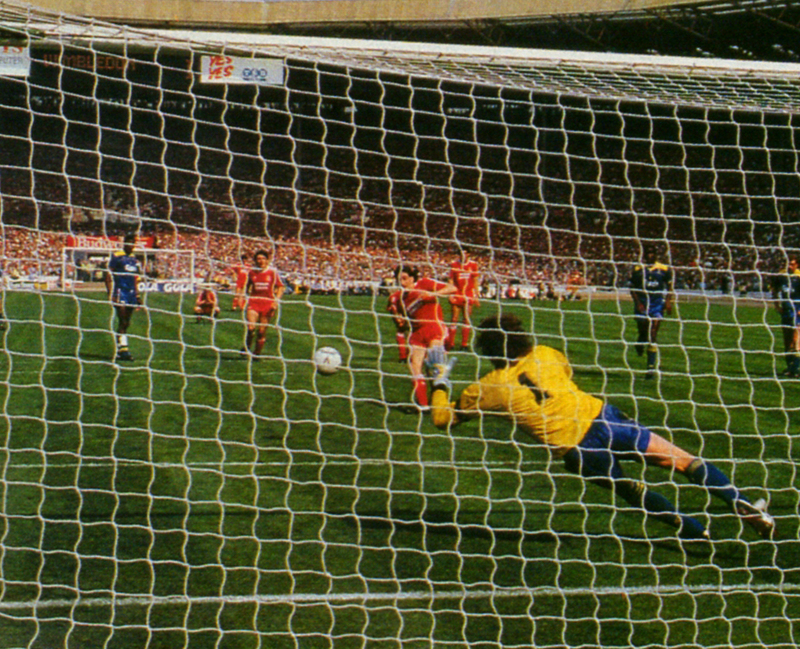 John Aldridge also had a penalty kick saved by Wimbledon goalkeeper Dave Beasant. Match programme of the F.A. 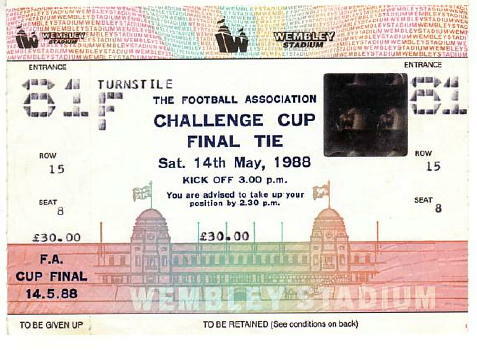 Challenge Cup Final 1988 - played on 14 May 1988 at the Wembley Stadium. Match ticket of the F.A. 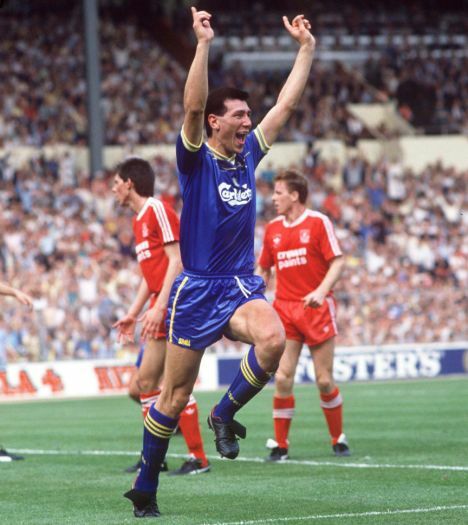 Challenge Cup Final 1988. Liverpool's starting lineup in the F.A. 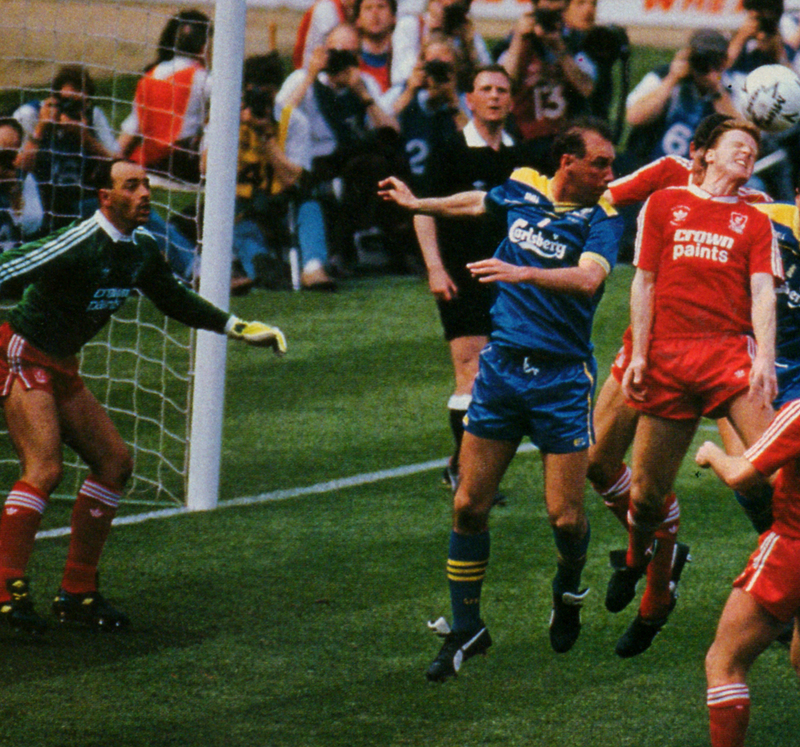 Challenge Cup Final 1988. 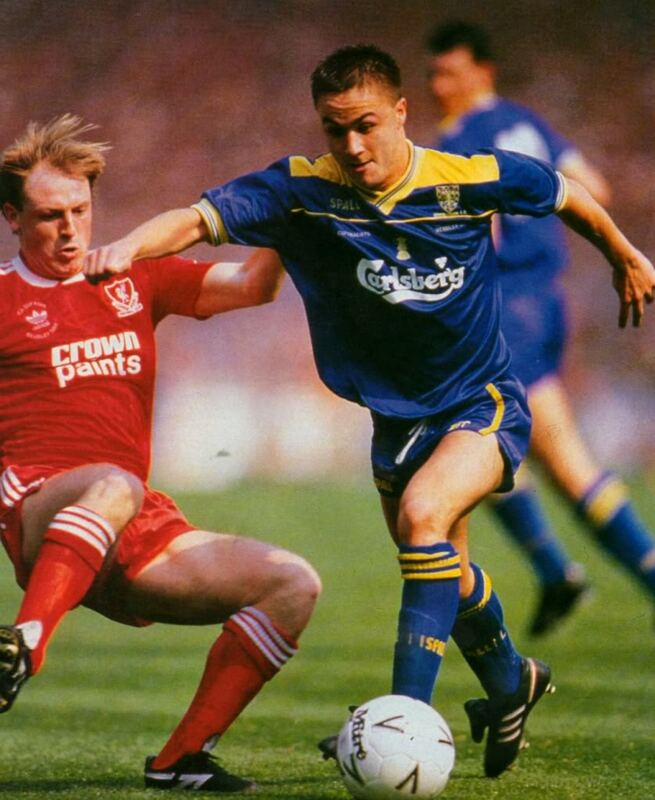 Featured Steve McMahon in match action in the F.A. 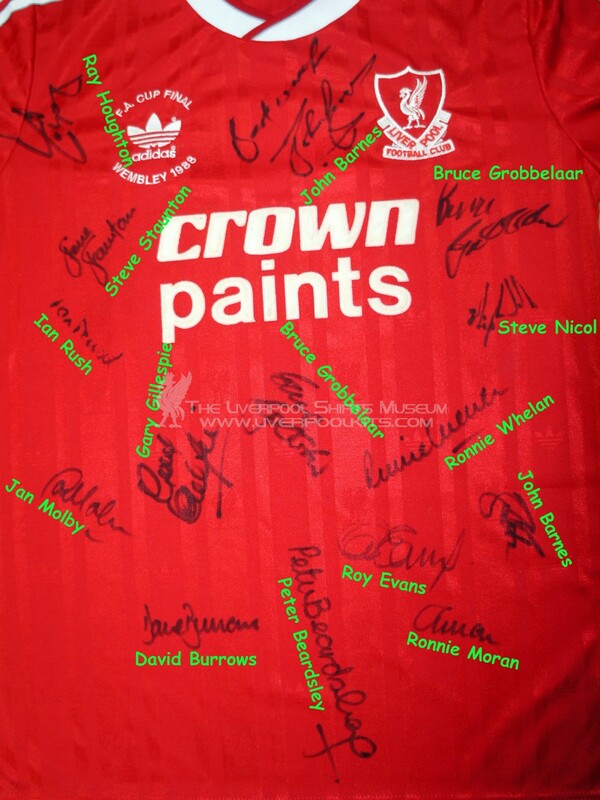 Challenge Cup 1988. Featured Bruce Grobbelaar and Steve Nicol in match action in the F.A. Challenge Cup 1988 defending a corner. Featured John Barnes and Jan Molby in match action in the F.A. Challenge Cup Final 1988. Featured Gary Ablett and Steve Staunton showing disappointment when Liverpool conceded a goal to Lawrie Sanchez of Wimbledon. 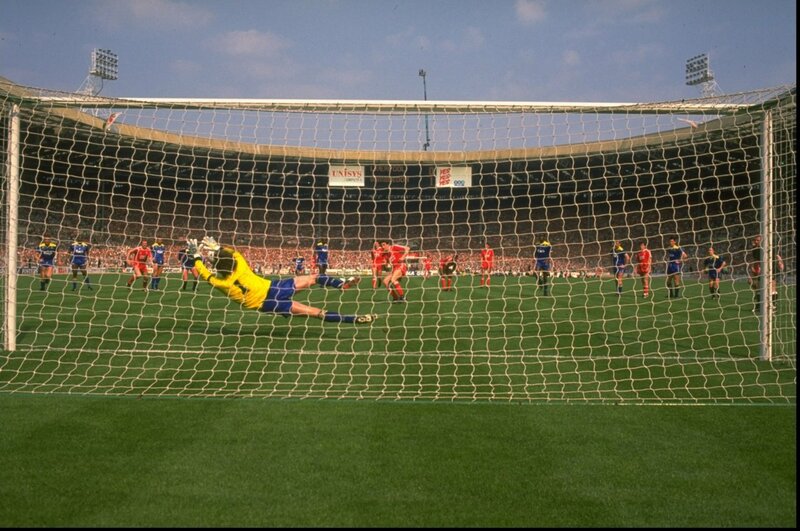 Dave Beasant dived in the left corner and caught the penalty shot of John Aldridge. It was the first penalty save in the F.A. Cup Final history. 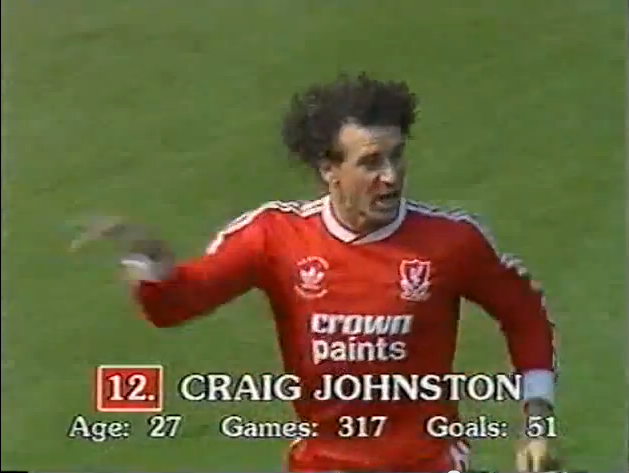 Craig Johnston was the only Liverpool player who wore a long sleeved shirt (number 12) in the F.A. Cup Final 1988. All other Liverpool players wore short sleeved shirts. 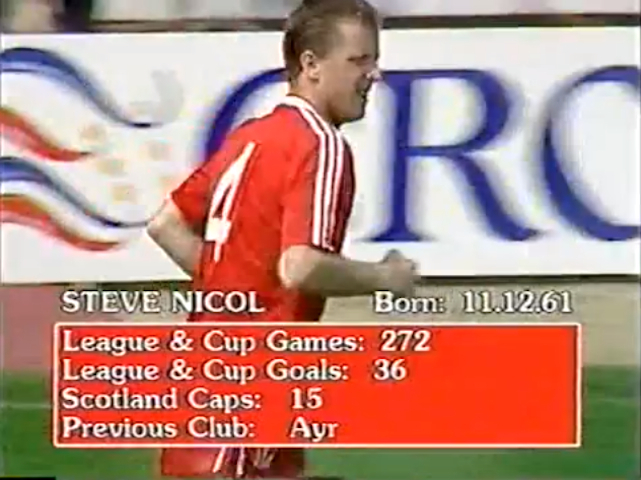 Featured Steve Nicol wearing a number 4 player shirt in the starting lineup before kick-off. 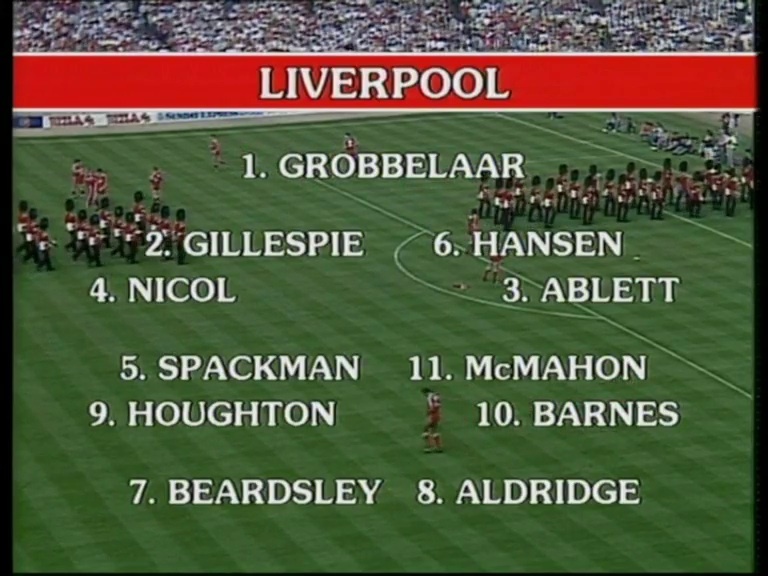 Liverpool 1988 F.A. 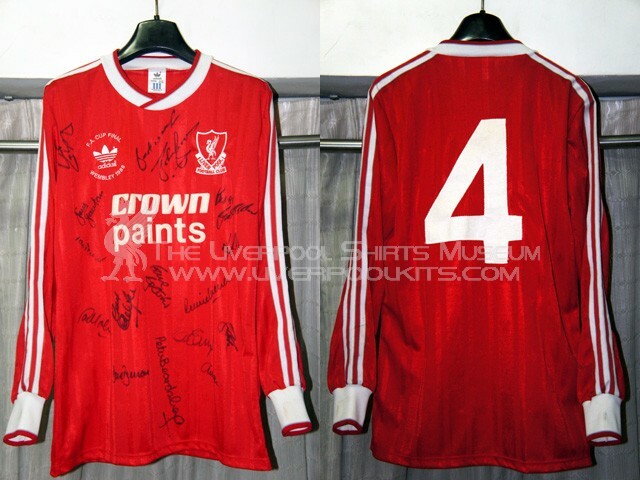 Challenge Cup Final Player Shirt - This is a long sleeved match spare unworn shirt of Steve Nicol. The cup final match shirt carries an unique embroidery. 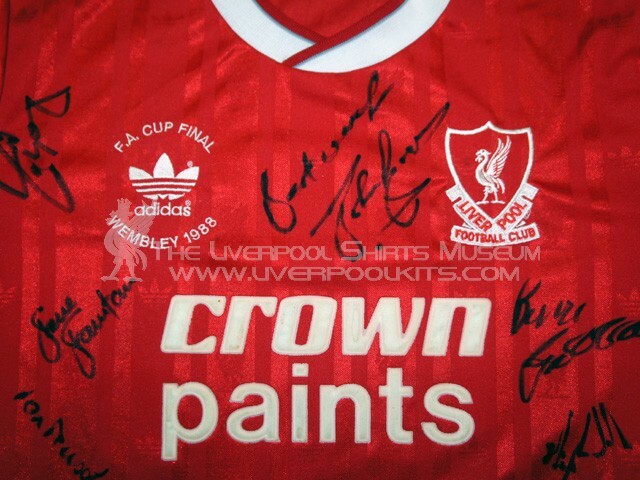 The cup final match shirt was fully signed by the squad players.